GRANT to us, Lord, we beseech thee, the spirit to think and do always such things as be rightful; that we, who cannot do any thing that is good without thee, may by thee be enabled to live according to thy will; through Jesus Christ our Lord. Amen. 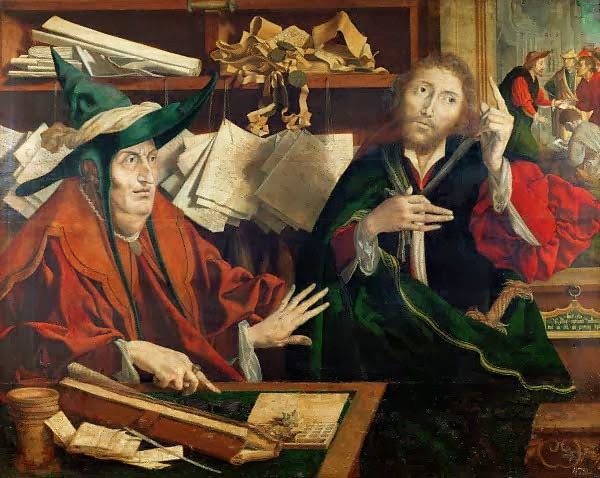 Artwork: Marinus van Reymerswaele, Parable of the Unfaithful Steward, 1540. Oil on oak, Kunsthistorisches Museum, Vienna. O GOD, who didst vouchsafe to bestow grace upon blessed Anne, that she might become the mother of the parent of thy Only-begotten Son: Mercifully grant that we who celebrate her festival may be partakers with her of thy heavenly grace; through the same Jesus Christ our Lord. Amen. 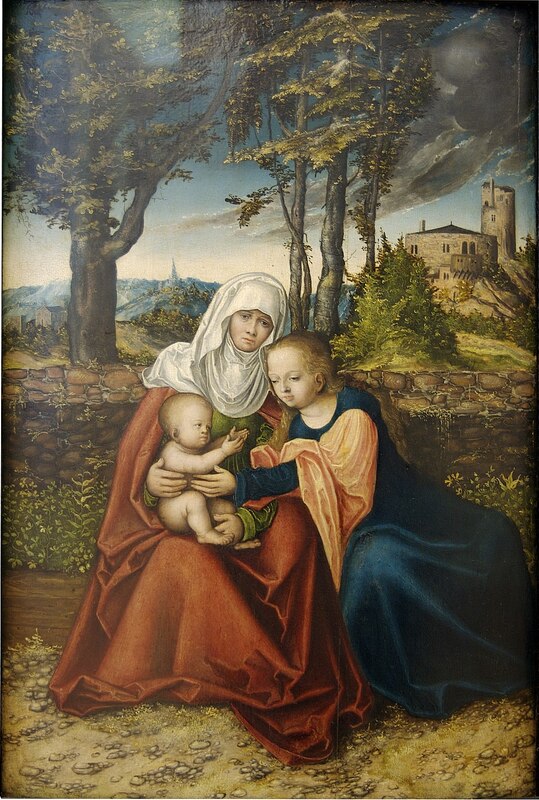 Artwork: Lucas Cranach the Elder, The Virgin and Child with Saint Anne, 1516. Oil on wood, Alte Pinakothek, Munich. GRANT, O merciful God, that as thine holy Apostle Saint James, leaving his father and all that he had, without delay was obedient unto the calling of thy Son Jesus Christ, and followed him; so we, forsaking all worldly and carnal affections, may be evermore ready to follow thy holy commandments; through Jesus Christ our Lord. Amen. 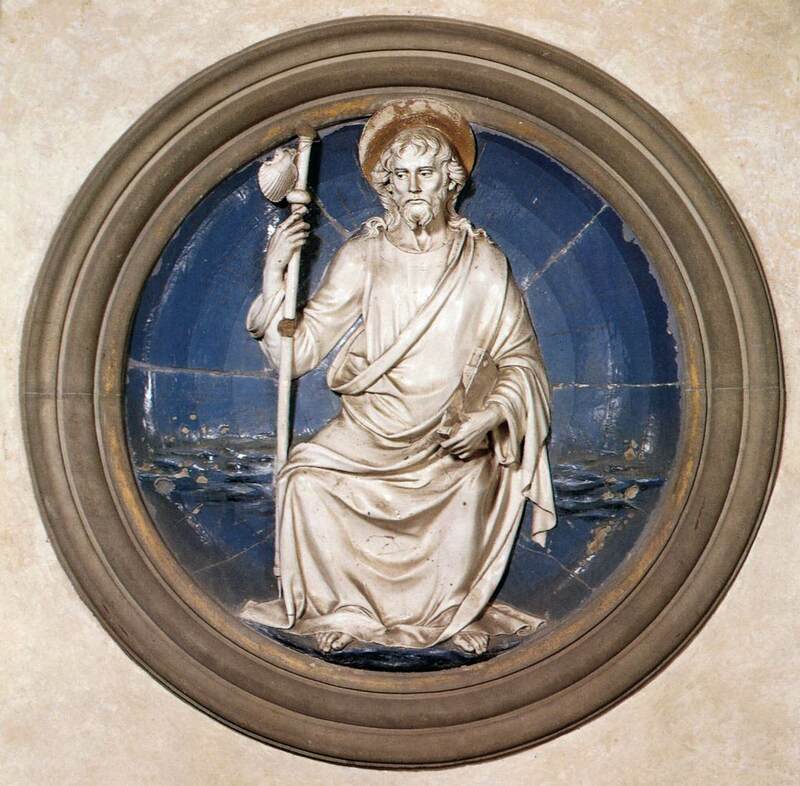 Artwork: Luca della Robbia, St. James the Great, 1440s. Glazed terracotta, Pazzi Chapel, Santa Croce, Florence. Woman, why weepest thou? Whom seekest thou? A confusion or a profusion of Mary Magdalenes? Or just Mary Magdalene’s profuse confusion? She “supposing him to be the gardener, saith unto him, Sir, if thou hast borne him hence, tell me where thou hast laid him, and I will take him away.”It is surely one of the great moments of mistaken identity! It leads to one of the greatest moments of witness to the Resurrection in the encounter and exchange between Mary Magdalene and the Risen Christ recalled in this morning’s Gospel. Yet her confusion, like Thomas’ doubting in the same chapter, all contribute to our faith and understanding. Today, in the Providence of God, The Feast of St. Mary Magdalene coincides with The Eighth Sunday after Trinity. She is the great witness of the Resurrection, apostola apostolorum, an “Apostle to the Apostles,” as some have styled her, the first witness to the Resurrection, as Mark in his Gospel explicitly states, and thus, by extension, more theologically speaking, to the Gospel of Christ itself. The Gospels, after all, can only have been written in the light of the Resurrection. That is a key point with respect to our understanding. All four Gospels name Mary Magdalene as a figure at the death and resurrection of Christ, a witness to the Crucifixion and the Resurrection. And yet, there is, perhaps, no greater perplexity and confusion than with the figure of Mary Magdalene. It begins, I surmise, with a statement made by Mark and Luke about Mary Magdalene as the one “from whom [Christ] had cast seven demons,” as Mark puts it, or, as Luke simply says, “Mary, called Magdalene, from whom seven demons had gone out.”This introduces a whole new dynamic and, I think, an intriguing one that has led to much confusion and perplexity and, I fear, no end of fancy and fiction. The interpretive narrative currently in vogue is that Mary Magdalene became seen more as the figure of repentance and less as the primary witness of the Resurrection. That is really a false dichotomy, a false or at least unhelpful opposition, and one which obscures more than it clarifies. Mark clearly connects both repentance and resurrection in one economical phrase: “on the first day of the week, [Christ] appeared first to Mary Magdalene, from whom he had cast out seven demons.”She is both a figure of repentance and a witness to the Resurrection. 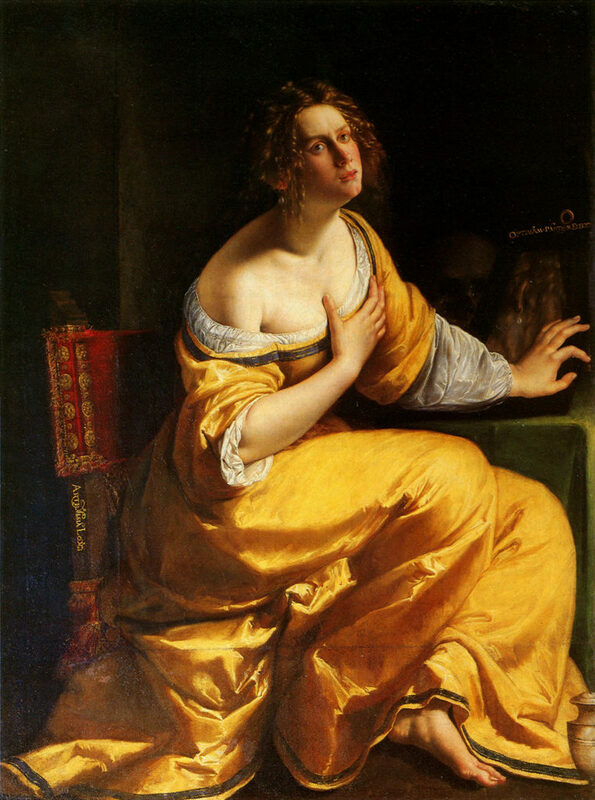 Artwork: Artemisia Gentileschi, The Repentant Magdalene, c. 1618. Oil on canvas, Galleria Palatina, Palazzo Pitti, Florence.